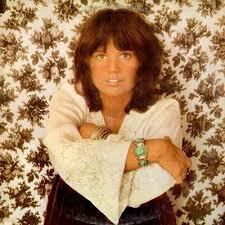 I was wary, thinking that this may not be the best time for Linda Ronstadt, and I have three of her albums, so it may take a while to get through them. But I must say, so far, so good. I do have very fond memories of all of them though, and absolutely love her voice and style. She is yet another artist with the ability to take songs written by others and make them her own. I’m not saying her rendition of “Desperado” is better than Don Henley’s, it’s not, but it is mighty fine. We first heard her sing “Different Drum” with The Stone Poneys in 1967, which even though it was written by The Monkees’ Mike Nesmith (see, I told you he was the talented one), it was a bit of an anthem to female independence, much like the more daring, in your face, get outta my face, “You Don’t Own Me” written and sung by the fabulous pop icon Lesley Gore in the early ‘60s. Should I be mentioning Janis Ian’s 1975 hit “At Seventeen” here? Probably not, but I just did. So, even though I think I have not heard these songs in decades, I remembered a lot of the words to “Love Has No Pride” and most of the words to “I Believe in You” (the latter written by Neil Young), and could sing along, I’m sure to the chagrin of my new next door neighbor. It’s not a good exercise album, so I should have added some Bette Midler in, but “Silver Thread and Golden Needles” gave me a good two minute and twenty seconds of a more energetic aerobic workout.